I am a member of the grid and the user support teams at LRZ. We operate a 9728 core SGI Altix 4700 and a heterogeneous Linux-Cluster with 800 cores. Together with the MPG a cluster with 800 cores and 350 TB disc space is part of LCG as a Tier-2 Center. In addition to LCG, LRZ is also a member of the DEISA/eDEISA grid infrastructure. My work involves porting of applications to different platforms, optimization, debugging and grid enablement, which is currently limited to DEISA but should be expanded to LCG as well. Jose M. Dana studied at University of Almeria (Spain) where he obtained a M.Sc. degree in Computer Science and worked for the "Computer Architecture and Electronics" department for the last two years of his degree. 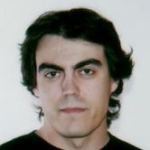 Moreover, he is member of the "Supercomputing: Algorithms" research group of his University since 2004. 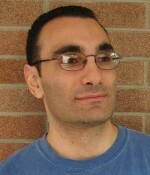 During his collaboration he has written several papers about scalable image and video coding. 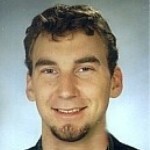 He was a CERN Summer Student in 2005 and he worked in compiler optimization related tasks (in CERN openlab). In October 2006 he re-joined CERN openlab as a Fellow working this time in Grid deployment and virtualization subjects. Right now, he is combining his work in CERN openlab with his PhD studies. I am a postdoc in University of Milan, department of Physics, and I'm a member of the BaBar Collaboration and recently a new member of Atlas Collaboration. BaBar is an experiment of High Energy Physics running at SLAC, Menlo Park, CA. Currently I'm the Physics Software Coordinator of the Collaboration. The activity is finalized to develop and maintain the code used for event reconstruction and data analysis. My research is on physics analysis and software used for data analysis. In particular, I study the charmless decays of B mesons to final states containing an eta or eta' meson. For all these studies I have developed a fitting program (maximum likelihood fits) in C++ language on Linux/UNIX platform. This program, called MiFit, uses ROOT and RooFit classes. I use several other techniques, like Fisher Discriminant, Neural Network, Decision Tree. I studied electrical engineering with emphasis on telecommunication and computer architectures. 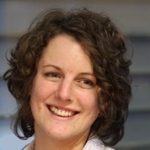 I am interested in design and implementation of languages and compilers to enable more efficient description and synthesis of complex FPGA-based computing systems. I wrote my PhD thesis at CERN, focusing on design methodologies for digital signal processing on FPGAs. All LHC experiments use FPGAs in their data acquisition systems at medium trigger levels. It was therefore a most exciting work environment. Currently, I am working on the optimization of molecular dynamics simulations. Andrzej Nowak has been working at CERN openlab, a partnership between CERN and the industry (Intel, HP, Oracle), since 2007. His early research concerned operating systems security, mobile systems security, and wireless technologies. 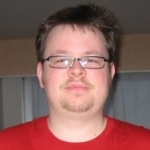 During his studies in 2005 and 2006, Andrzej worked at Intel, where he researched custom performance optimizations of the Linux kernel and took part in developing one of the first 802.16e (WiMax Mobile) wireless MAN networking standard implementations. Soon after obtaining his diploma, he joined openlab in January 2007. Andrzej deals mostly with multi- and many-core architectures and parallel processing. Another significant area of his work is platform optimization and performance assessment.